Seaton F Milligan (1836 –1916) was a key figure in Ulster Victorian society. His father was Kennedy Milligan from Glencon near Dungannon, his mother was Sarah Ann Boyd, On 28 January 1862 he married Charlotte Elizabeth Burns from Omagh, in the ‘Wesleyan Chapel’ in the town. Her parents Samuel Burns (d. Feb 1860), and Letitia Burns (d. May 1858) had owned the Scotch Haberdashery Warehouse, Main Street, Omagh. Seaton was a Sunday School teacher in the church and an insurance agent in the town. He and Charlotte went on to have a reported 11 children; they relocated to Belfast where he took the position of Managing Director of Hawkins, Robertson & Ferguson, of Bank Buildings in the city centre. He began to give historical lectures in the city, for Belfast Natural History and Philosophical Society, on exotic subjects such as Peruvian textiles (one of Charlotte’s Omagh cousins, named Alcorn, was a civil engineer working on railways in Peru - he came home with a pile of stuff from antiques and rugs to shrunken heads in jars) but mainly on Irish antiquities such as giant’s graves Seaton had visited in Sligo, standing stones and Irish mythology. He donated objects to the Royal Irish Academy such as an ancient cauldron he had found at Drumlane Lake in County Cavan. He gave many lectures, such as ‘The Forts of Erin, from the Firbolg to the Norman’, and ‘Ireland and the Scottish Isles: Ancient Connection’. He wrote a paper for the Ulster Journal of Archaeology about one of my interests, the Clandeboye O’Neills and their Coronation Chair. He led at least two steamship cruises around the entire coast of Ireland, for the Royal Society of Antiquaries of Ireland. He rubbed shoulders with the best historians and antiquarians of the day. So the children were raised in this environment – with a fascination and reverence for history and tradition. He was a successful businessman, well used to the company of the gentry and entrepreneurial élite of the times, a respected antiquarian, a frequent public speaker at august gatherings around Ireland on antiquarian subjects, and well-regarded author. It's also in the Dictionary of the Scots Language here, and on the Ulster-Scots Academy textbase here. The Milligans had a few different holiday properties around North Down, the first of which was ‘Angus Cottage’ in the countryside near Portavo north of Donaghadee in the 1870s and early 1880s. Next was ‘Hamilton Villa’, part of the ‘Dufferin Villas’ terrace along the seafront at Ballyholme (as described by Charles F Milligan (1883-1983) in his three memoir booklets: My Bangor from the 1890s, Second Thoughts and Bangor and Belfast Lough Yesterday and Today). The last was a house called ‘Eastward’, one of the 'Ward Villas' on the Clifton Road, overlooking Royal Ulster Yacht Club, which they bought around summer 1906. They are recorded as living there in the 1911 census. The Milligan parents both died at ‘Eastward’ in 1916. All three were fairly prestigious addresses, suited to a wealthy Belfast merchant family. Back then Ballyholme was its own distinct community, not yet swallowed up by the expansion of Bangor. According to Charles they ‘came down about Easter and stayed until Halloween’, from their city addresses at 1 Royal Terrace, a 9-bed 3-reception property which they sold in August 1899, and later 1 Malone Road. But they mingled with County Down locals as well as the swish Belfast vacationing set. Even though Methodists, Charles recalled that the family had some involvement in the Parish Church and also Presbyterian Church in Groomsport, and various churches in Bangor. 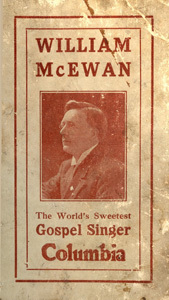 In October 1892, young Ernest Milligan is recorded as manning the ‘flower and candy stall' for Groomsport Presbyterian Church Bazaar, an event at which both Mr and Mrs W.G. Lyttle were on the ‘refreshment stall’. Whilst the Milligans summer residence was at the country end of the Ballyholme Road, Lyttle’s property ‘Mount Herald’, his home until his death in 1896, was at the town end, at the junction of Clifton Road. Sadly the building is long-gone, its site supposedly a car park today (see here). Another Bangorian at the time was Florence Mary Wilson (1870-1946, link here), best known as the author of the poem The Man From God Knows Where, a tale of the United Irishman Thomas Russell who was hanged in Downpatrick in 1803. It, and some of her other poems, include a sprinkling of Ulster-Scots vocabulary - the 1918 edition is online here. She lived in the same part of Bangor, on the Groomsport Road. In July 1907, Florence, Alice Milligan and Ernest Milligan are recorded as having worked together on a ‘Carnival and Fancy Fair’ bazaar handbook to fundraise for Bangor Endowed School, later Bangor Grammar. The venue was the grounds of Bangor Castle, with the ‘great and the good’ thronging the place. The school was also on the Clifton Road, just behind the Lyttle home. This was an impressive network of north Down literary neighbours, and all with a deep interest in local history and traditional heritage, with what we would today regard as a culturally Irish nationalist perspective – yet also all with varying degrees of Ulster-Scots influence in their writings, with Lyttle’s of course the most important. If you broaden the catchment area just a little more, it’s very likely that they would also have known William Hugh Patterson (1835-1918; previous post here), his 1880 Glossary of Words in Use in the Counties of Antrim and Down, and Patterson’s relatives by marriage, the Praegers. It’s not just the geography, it’s the social world of golf clubs, rugby clubs, sailing clubs and antiquarian societies. “I have a very high regard for the people of Groomsport and for the Orangemen there, in fact as a very small boy the highlight of a summer holiday at Dufferin Villas was to go down to the end of the laneway joining the county road and watch LOL 589 pass by on its way to join the brethren at Bangor. I also remember a lady who marched with the lodge dressed for the occasion with a hat in the colours of the day and a blouse to match’. The caption above indicates that Charlotte Milligan knew W.G. Lyttle, who died when Charles was just six years old. However Charles here also repeats an error that W.G. was from Omagh - he definitely wasn’t. In 1914, Charles joined the Royal Navy, following in the footsteps of his brother Captain William Hanna Milligan RGA (1872–1937) who had served in the Boer War in 1900 and had been stationed in Chicago for a time. William’s knowledge of the city led to the arrest and execution of a German spy in 1914; Carl Hans Lodz had been in Belfast, masquerading as an American called Charles Inglis, but was actually gathering intelligence on the city’s shipyards. Both Charles and William are named on the roll of honour in Wesley Centenary Methodist Church, Hamilton Road, Bangor. In later years, Alice Milligan looked after William - that particular story is touched on here. They had lived in Dublin from 1917-1921, but had to flee within 24 hours due to William receiving a death threat from the IRA due to his earlier British Army career. They went to Bath in England where younger brother Ernest Milligan (1879–1954) worked as a School Medical Officer around the same time. Perhaps Ernest was the first safe haven that came to mind in this emergency. Alice, William, his wife and son later returned to Ulster and settled in Omagh. (A PDF of a biographical booklet by Dr Catherine Morris is online here). In the 1940s, Burma-based Ulster soldier Signalman Eric Clark from Ormiston Drive in Belfast, while convalescing in a hospital tent and ‘in a beleaguered jungle-box on the Assam-Burma border’, wrote and later published three little pocket-sized Ulster Quizbooks. I bought them all in a second hand shop about 20 years ago, fascinated by what must have then been regarded as general local knowledge. A fair amount of it is today knowledge which has long-faded and is no longer in our ‘head space’. ‘There’s a song about a Carrowdore lady – what is it called?’. A fair bit of my life is still spent around Carrowdore, through my family involvement in founding, and still running, the mission hall there. My mother's family are all originally Carrowdore and Ballyfrenis folk, as regular readers here will know. My brother lives just on the outskirts, as does one elderly aunt. Many friends and family live in the general area. But nobody I knew had ever heard of the song. Even a now-deceased, but once-renowned, Carrowdore traditional ballad singer, who used to be visited by music students and of whom tape recordings are believed to exist somewhere, wasn’t known to have sung it. But then, about a year ago, I encountered a 1907 publication entitled Up Bye Ballads, all written by a 'Will Carew'. It’s a collection of north Down and Ards Peninsula themed ballads, with good authentic Ulster-Scots vocabulary and expressions throughout. And there within its pages was ‘Carrowdore Kate'. So, therefore, for nearly 40 years ‘Kate of Carrowdore’ or ‘Carrowdore Kate' was well enough known that a soldier in the sweaty fearful jungles of Burma recalled it when thinking of home. It turns out that 'Will Carew' was a pseudonym - a name adopted by the 28-year-old Ernest Henry Marcus Milligan (1879–1954) – a younger brother of Alice Milligan. Like Alice, he was a close friend of James Connolly, with whom Ernest was a founder of the Irish Socialist Republican Party and Belfast Socialist Society, and on behalf of whom Ernest did a fair bit of street activism in areas of working class Belfast around the turn of the century. Yet here he was, comfortably and confidently, using lovely touches of Ulster-Scots in a collection of very good poems and ballads - and in doing so, challenging a lot of present-day perceptions. Ernest Milligan's use of vocabulary in the two verses shown below isn’t perfect. You can tell he was ‘learning’, rather than had grown up with, the language. The same verses written by a ‘native speaker’ would have used different words - ‘tae’ or ’til’ instead of ‘to’, ‘ain’ instead of ‘own’, ‘whaur’ instead of ‘where’, etc. Yet in the subsequent verses he does get some of these important subtleties right - ‘sae’ is used instead of ‘so’, but then falls back into rhyming ‘hold’ and ‘cold’ where it really should have been ‘haud’ and ‘cauld’, or possibly ‘houl’ and ‘coul’. 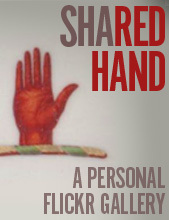 But as a collection the poems are really very strong, lyrical, and full of empathy. He must have spent a lot of time observing and absorbing the world of his rural north Down neighbours, a world which - through his writing at least - he briefly became part of. Perhaps Ernest had been influenced by the Ulster-Scots literature of family friend WG Lyttle who had died in 1896; and maybe also George Francis Savage-Armstrong, author of Ballads of Down (1901) who had died in July 1906. In many ways, Ernest Milligan’s modest 1907 collection Up Bye Ballads deserves to be placed alongside them. There are two plausible origins for influential Irish Republicans Alice Milligan (1866–1953, shown above) and her brother Ernest Milligan (1879–1954) being interested in Ulster-Scots. 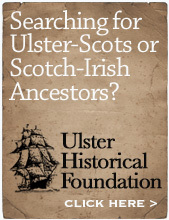 It is possible that their mother, Charlotte Elizabeth Burns, who was the daughter of a Samuel Burns (who ran the ‘Scotch Haberdashery Warehouse’ in Main Street, Omagh) may have been of Ulster-Scots or Scots origin themselves. Charlotte married Seaton Milligan on 28 January 1862 at Omagh Wesleyan Chapel. If there’s a biographer out there somewhere who knows I’d appreciate being corrected on this. ‘a cottage at Donaghadee known as Angus’s Cottage on the Warren Road near the standing stone’. The standing stone was at the junction of the Warren Road and the Stockbridge Road. Here's an 1800s map of the area, with the stone in the top left corner. A development called ‘Rock Hill’ is there today. This is exactly the geography and scenario described by Alice in her tale The True Story of a Grey Mare of Ballywalter, and a member of the Royal Irish Academy - the ‘member' being the Milligans’ father, Seaton Forest Milligan. It was first published in Alice’s periodical Shan Van Vocht on 12 December 1898, which is online here. “Along the coast of North Down there runs a road skirting the sea, from Bangor, past Groomsport, past Donaghadee, and away round to Ballywalter, at the head of the Ards Peninsula. For many summers the chosen sea-side residence of my people was a picturesque cottage a mile or so beyond Donaghadee. It was separated from the road merely by a walled garden, beyond the road was a low wall, and over that wall you could roll into the waves when the tide was in. Honeysuckle and roses grew up the walls and peeped in at the sky-light windows. It was a delightful little cottage, and how we all fitted into it I have often wondered since." The story continues that one summer evening Seaton was outside reading the newspaper on a garden bench; a horse-drawn cart stopped outside their house; stopped for a while but the people - a red-bearded man and a very old woman all dressed in black - didn’t get out. Seaton was concerned and went to see if something was wrong. “We’re no botherin oursels tae hurry, mon dear. The mare has jist stappit, and I wudnae hae John whup her on. She’s an unco wise beast an’ kens there’s some ill afore us, so we’ll e’en bide here till she gangs on o’ her ain free wull"
She spoke so rapidly there was no chance of interruption, and our practical man fumed with indignation at the idea of anyone delaying by the roadside to humour the vagaries of an old grey mare. He scorned to address himself to the woman who was the victim of so crazy a delusion. “Good gracious man,” he said, shouting at the son, “How far have you to drive?" “We hae tae mak Ballywalter the nicht"
“Obstinate brute,’ said her foe, “Does she bite?" “I hae never kent her tae bite onybody, but nae doot she wad bite you, guid mon, afore she’d gang on frae here, supposin she kens there’s some danger lourin’. By this stage a crowd had gathered, both of Milligan family members and ‘some country neighbours’ who ‘shook their heads and advised no interference with the mare, whilst they recounted similar supernatural occurrences and gave instances of the prophetic instincts of sundry collie dogs, cows and ganders’. Enraged, Seaton then gathered up his sons, and returned with large buckets of water, and lashed them at the horse which took off in fright. The boys then turned the buckets into drums to make a lot of noise, which kept the horse going to escape the din. The country folk shook their heads in awe and doubt, and which a self-satisfied smile the head of the house returned to the garden seat. Perhaps he drafted in his mind a lecture or paper for a learned society of which he was a member on the subject of ‘Some Surviving Ulster Superstitions’. It’s a great wee story in itself – but it’s not over yet, because the same horse is back again later that day, with the same passengers, and the old woman speaking yet more Ulster-Scots… read it for yourself. (It was reproduced in the Cork Examiner on 28 April 1900). The importance of all of this is Alice Milligan’s recognition, and respectful treatment, of the Ulster-Scots speech of her summer neighbours. She could easily have ‘Anglicised’ their words as so many writers of that period were prone to. But we know that the Milligans were friends of W.G. Lyttle, and so perhaps his influence and work had rubbed off on them too. Tradition matters. Everybody who cares about tradition should value all forms of it, both their own and the traditions of others. Empowering one over another, advantaging one over another, legislating for one over another, is a road to nowhere. In former times, language and culture and politics did not align the way they are presented today. Sometimes it take an old wise grey mare to stop on the road to reflect before going any further. • In 1888 Seaton Milligan and his daughter Alice co-authored a book called Glimpses of Erin (online here). UPDATE: Alice’s brother, Charles Forest Milligan, published a standard English version of the same story in his Bangor memoirs booklet Second Thoughts, published around 1980.